Let us help you make a smooth transition to owning a Brock Built home or selling your existing home. I am interested in selling my home. Learn about financing options through trusted lenders who work with Brock Built on mortgages every day. I am interested in getting pre-approved. Located in the heart of the Westside Provisions district and West Midtown is our fabulous new community, West Town. This eclectic, bustling neighborhood is one of the most vibrant and diverse locations Atlanta has to offer new Intown homebuyers. Here you’ll find a wide range of Brock Built designed floorplans available ranging from 2000-4000 square feet and 3-5 bedrooms/2.5-4.5 bathrooms. Our exceptional cottage series homes range from 2100 to 2700 square feet and they feature 3rd-floor retreat spaces that can be used as an extra bedroom or home office. The thriving neighborhood amenities surrounding West Town provide a unique blend of boutique retailers and award-winning restaurants in the heart of Atlanta’s resurging Westside. Living in West Town also means you’ll be very close to the iconic amenity of the Atlanta Beltline. 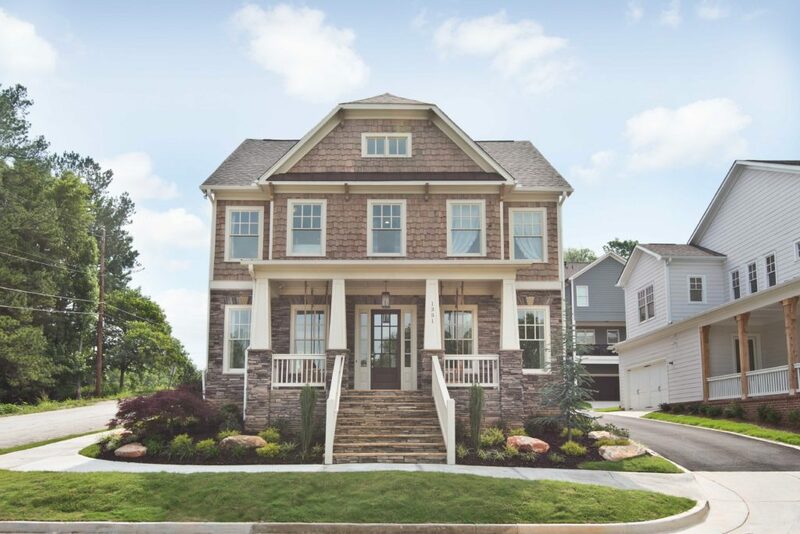 Less than a few minutes away from these new Brock Built homes, this collection of art-filled, scenic green pathways for those who want to walk, run, cycle and explore will be an Atlanta treasure for years to come. We believe all of this and more will add to your life+style so come and see the new homes available in the community of West Town today. Our team is ready to help you find your new Atlanta home so contact us now for more information. From I-75, Take exit 252 for Howell Mill Rd, and head south on that road, After 1.3 miles, turn right onto Huff Rd NW for 1.5 miles. Turn right onto English St NW, in 0.1 mile West Town will be on left.